Could Spotify's business model work for ebooks? Is the 'free' model working? If the record industry had come up with Spotify a decade ago, it might not be in the mess it's in today. The free, ad-supported version could have kept people away from the pirate networks, and while the paid-for numbers aren't huge (250,000 paying subscribers at the beginning of 2010, compared to 7 million users in total) Spotify is still persuading them to pay for music - something that's eluded plenty of other legal services. So could the same kind of service work for books, bringing novels to the massed ranks of Kindle, Nook, Reader and iPad owners? It's not as bizarre as it sounds, because we have real-world equivalents for both its free and subscriber services. Libraries give books away for nothing - or seem to; in reality authors get a little bit of money in the form of Public Lending Right (PLR) royalties, a gap that online ad revenues could easily plug - while book clubs have offered heavily discounted prices to subscribers for decades. Could similar ideas work online? Sara Lloyd is Digital Director at Pan Macmillan, one of the world's biggest publishers. "I think both could work for consumers and the trick will be in developing a commercial model that works for authors and publishers, too," she says. The commercial model may be the hard bit. Earlier this month Warner Music Group announced that it would no longer licence its music to free streaming services because, from its perspective, there simply isn't enough money in it. "The 'get all your music you want for free, and then maybe with a few bells and whistles we can move you to a premium price' strategy is not the kind of approach to business that we will be supporting in the future," CEO Edgar Bronfman told the BBC. "Free streaming services are clearly not net positive for the industry." Similar noises are coming from the print industry, particularly in newspapers and magazines. Rupert Murdoch closed his free newspaper The London Paper late last year and intends to put his newspapers behind paywalls. The reality is that there's only so much advertising money to go round, and for every Metro - an enormous global operation that manages to make money from free content - there's a London Paper bleeding red ink. 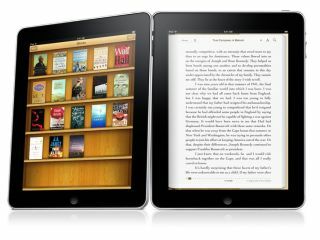 No matter what business model ebook services adopt, the backers will need to be patient. As digital media expert Mark Mulligan of Forrester Research points out, the music and book markets are different - so it'll take much longer for any book-related service to take off. "The diversity of experience between the digital and analogue experiences of books and recorded music are highly different," he says. "For music the physical component is the delivery vehicle, not the content itself - artwork aside. For books the physical media is the experience itself. Added to this, music aficionados skew younger than book aficionados. So the audience less geared towards digital than music. With that caveat considered, a book subscription could absolutely make sense. We have the proven success of libraries and to a lesser degree, book clubs, to demonstrate the interest." There's one area where subscriptions may be essential. "Subscription offerings are a must for the academic sector," Mulligan says. "Without them a P2P sector will flourish." Persuading students to pay for subscriptions could be a problem, though. "It makes sense [that] the cost of a subscription [is] bundled into tuition fees." Current page: Is the 'free' model working?